Jama Connor Hedgecoth was four years old, living a transient, mission-filled life with her family in motels around the country, when she told her evangelist parents that it was her dream to care for all of the unwanted animals in the world. Along their travels, a few years later, she professed the same for abandoned children. Throughout her young and adult life, Jama’s unstoppable faith led her to begin collecting these unique animals and children, even if she had to search in dumpsters to help feed them and her family. Jama believes that God will provide for the calling she knows she was given. Along an astounding forty-year journey filled with incredible miracles, a chance encounter gifted Jama a 250-acre farm in Locust Grove, Georgia. On this land that she calls “Noah’s Ark,” she has raised four birth children, more than four hundred foster children, six adopted children, and nurtures more than fifteen hundred animals of over one hundred species, including the internationally recognized lion, tiger, and bear trio known as the BLT. Noah’s Ark Animal Sanctuary is widely known in the animal-and-child advocacy realms, and is supported by the kindness of people from all walks of life around the world. After reading Jama’s phenomenal road to her continued humbled life today, child-and-animal advocate or not, you will be inspired to support Noah’s Ark, too, simply because you will want the sheer goodness of it all to carry on. 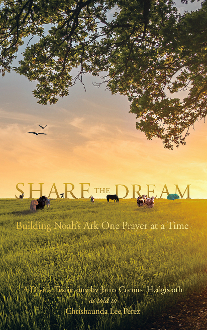 For more information, please visit www.noahs-ark.org.